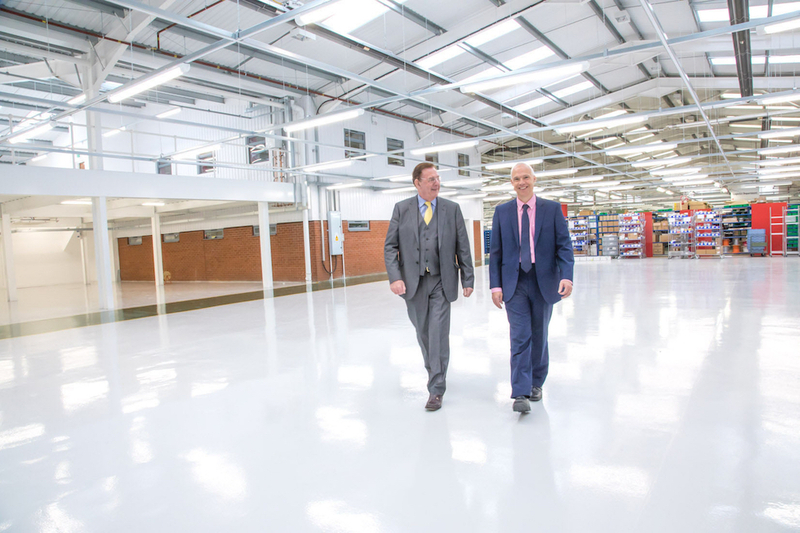 A West Midlands supplier of electrical control systems, cable harnesses and sub-contract manufacturing services hopes to double sales to £40m with a new £1m extension to its facilities. PP Control & Automation has added a further 1,000m² of production space to its existing 4,500m² facility in Cheslyn Hay, in order to facilitate growth in new technology markets and interest from a wider international customer base. With construction complete, work is now underway to equip the logistics and material department with conveyor systems and barcode scanning to ensure goods are moved around the shopfloor quickly and efficiently. Tony Hague, managing director said: “We have very ambitious growth plans to double turnover and this will only be possible by ensuring we have a facility in the UK that can provide us with the space needed to meet our current and future customer requirements.